This Thursday, families across the country will join together, many traveling great distances, to celebrate the Thanksgiving holiday. The Memorial Fund expresses our gratitude and thanks for all of America's law enforcement officers, especially those who have given up time with their families to protect our travels and ensure our safety. 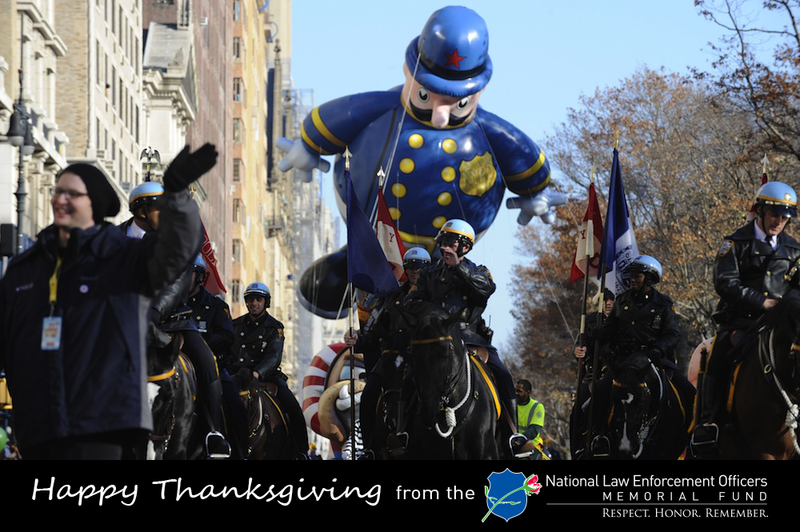 Everyday, law enforcement officers work to protect and serve the American public. The holidays are no exception, and for this, we are truly thankful. 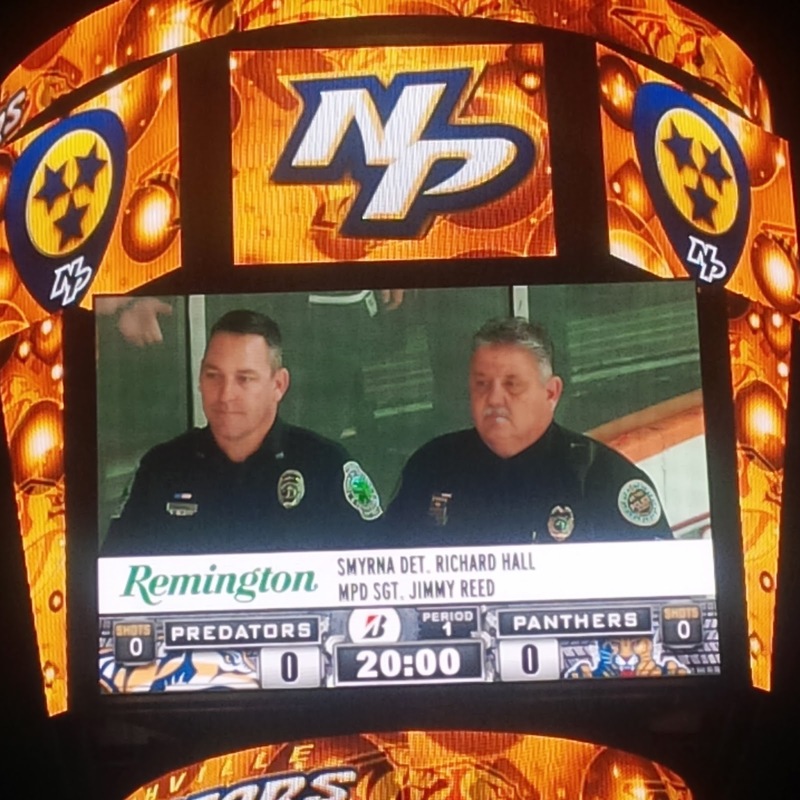 On Saturday, November 22nd a sellout crowd of just over 17,000 fans inside the Bridgestone Arena gathered to watch the Nashville Predators team up with the National Law Enforcement Officers Memorial Fund to host their 2nd Annual Law Enforcement Appreciation Night. The event was held to honor the service and sacrifice of all Tennessee, Kentucky, and Alabama law enforcement officers and their families. Thanks to this partnership, a portion of the ticket sale proceeds ($10 for each lower level ticket sold and $5 for each upper level ticket) was donated to the National Law Enforcement Officers Memorial Fund. This was an exciting game against the Florida Panthers, and the Predators went on to win in a 3-2 shootout. 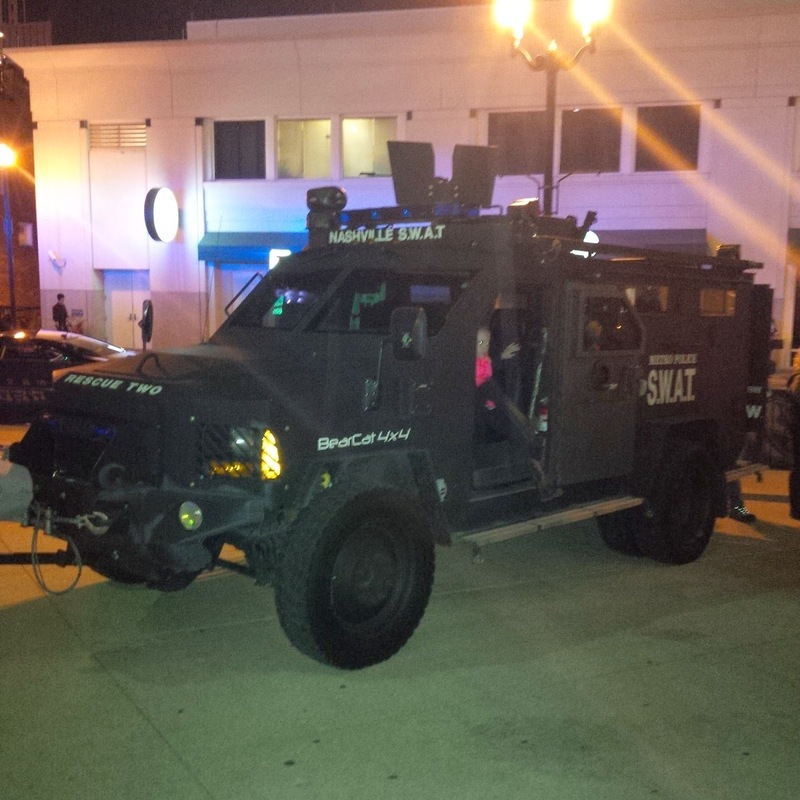 A display of police cars and tactical vehicles were on the plaza in front of the arena for the public to view and interact with. 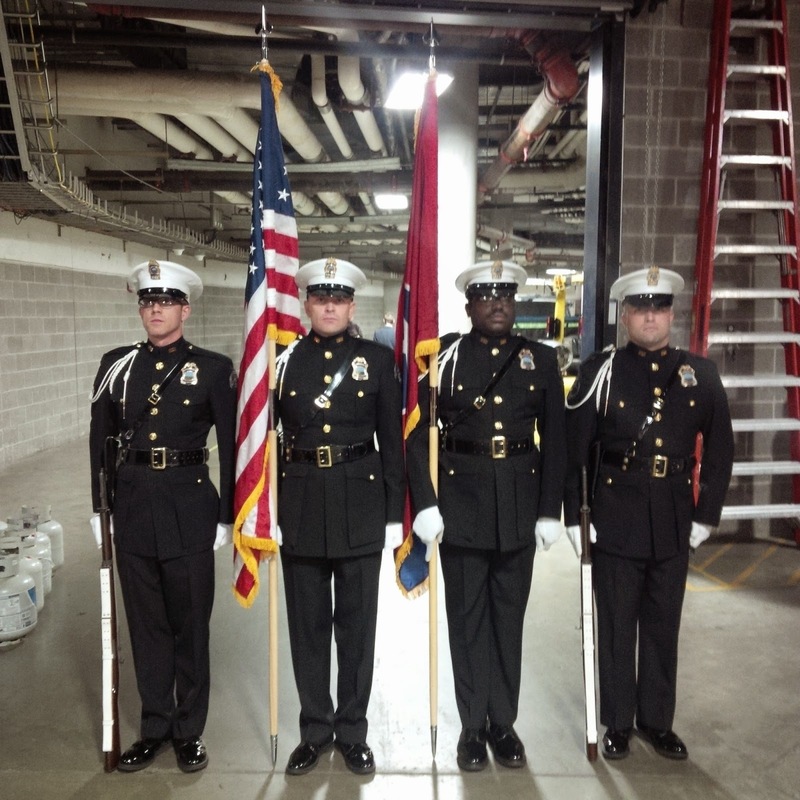 The Chattanooga Police Department Honor Guard presented the colors during the National Anthem. A special pre-game ceremony honored Smyrna Police Department Detective Richard Hall and Nashville Metro Police Department Sergeant Jimmy Reed who received the Remington Heroes Award. Fans were also treated to a special Public Service Announcement from Honorary NLEOMF Chairman Clint Eastwood. A special thanks to Brent Clark, Michael Kruggel and FLEOA Nashville Chapter President Bill DeSantiss, along with Executive Director Maggi McLean Duncan at the Tennessee Association of Chiefs of Police for their support in assisting us on this special night. On Friday, November 21, the Memorial Fund hosted a Recorded Memorial Tribute event honoring three fallen law enforcement professionals—FBI Special Agents Martha Dixon Martinez and Michael Miller, and DC Metropolitan Police Department Sergeant Henry Daly. On November 22, 1994, an ex-con was concerned that his fellow gang members thought he might be a snitch in a murder case. To prove them wrong, he walked into Metropolitan (DC) Police headquarters, took an elevator to the Cold Case Squad office, and without saying a word, opened fire with a semi-automatic weapon. Special Agents Martinez and Miller were killed, along with MPD Sergeant Henry J. Daly. Special Agent John Kutcha was critically injured but survived. Today's event began at St. Patrick’s in the City Catholic Church with a memorial service for the fallen officers. It continued at the National Law Enforcement Officers Memorial, where FBI ALAT John Kutchta and MPD Detective Lorren D. Leadmon (ret.) made poignant remarks about the fallen officers. The ceremony concluded with the families of the fallen officers laying wreaths at their names on the Memorial while the Joint Regional Pipe & Drum Corps played. The Memorial Fund would like to thank all the offices and people involved with creating such a lovely ceremony. 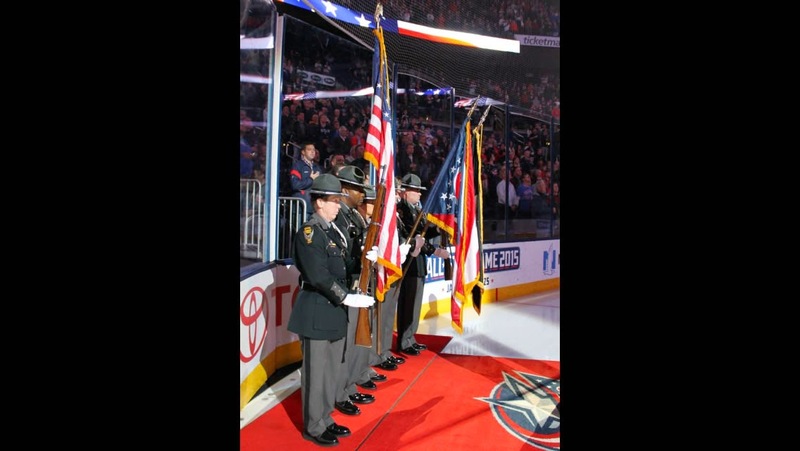 On Tuesday, November 4, the Columbus Blue Jackets and the National Law Enforcement Officers Memorial Fund held a special Law Enforcement Appreciation Night at Nationwide Arena. 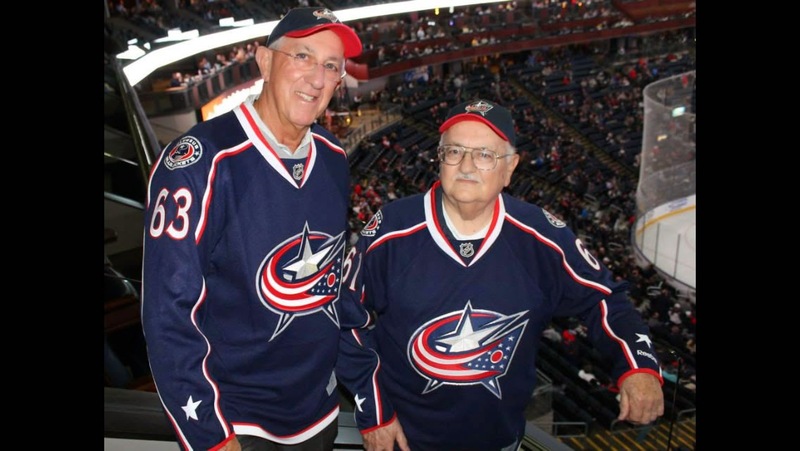 Unfortunately the Blue Jackets lost to the Carolina Hurricanes 4-2, but it was still a great night for hockey. This is the Blue Jackets first Law Enforcement Appreciation Night, and was held to honor the service and sacrifice of Ohio’s law enforcement officers. The night also honored two local law enforcement officers who have gone beyond the call of duty in serving their communities: Lieutenant Karl Barth of the Columbus (OH) Division of Police and Ohio Director of Public Safety (ret.) Thomas Charles. Lieutenant Barth has been serving his community as a motorcycle officer since 1960 and has been with the department longer than anyone else, having served for 54 years. He has managed the motorcades of every President visiting Columbus since President Kennedy. In a 2011 article from the Columbus Dispatch, Lieutenant Barth stated that he has “no plans yet to retire.” You can read the article here. Director Charles began his career as an Ohio State Trooper in 1963, rising through the ranks to Lt. Colonel. He served as the Assistant Superintendent for the Ohio State Highway Patrol before he retired from law enforcement. Director Charles then served as State Inspector for three Ohio governors before he was appointed the Director of Public Safety in 2011. At his retirement last year, Governor John Kasich said, “No single Ohioan has done so much to keep Ohioans safe and enforce the law as Tom Charles." Director Charles will be honored next week with an addition of the Ohio State Patrol Academy being named, The Thomas P. Charles Leadership Wing. Before the game, the Ohio State High Patrol presented the honor guard to large and supportive crowd. Lieutenant Barth and Director Charles were then honored on the arena and were presented with personalized team jerseys. A special Thanks to the Ohio State Highway Patrol for supporting the event, along with Columbus Blue Jacket’s Group Sales Specialist Steve Jix, and Memorial Fund Ambassador Bill Swank for organizing the event.